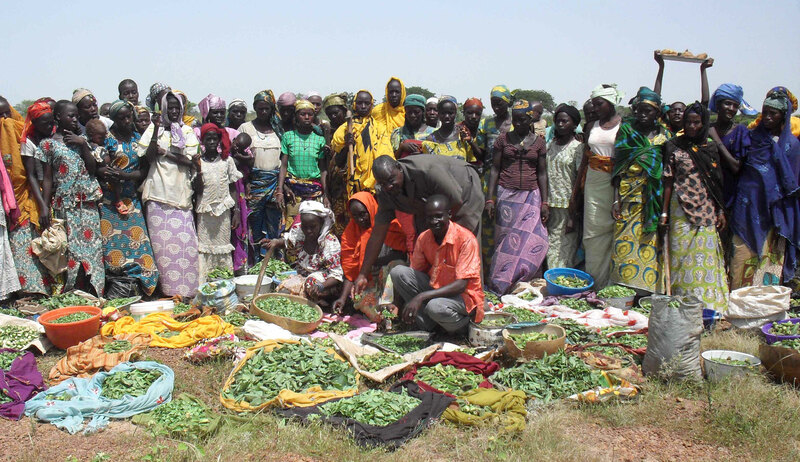 In eastern Niger, 241 hectares of degraded land was converted into productive farms for 10,770 women through the Bio-reclamation of Degraded Lands (BDL) system. 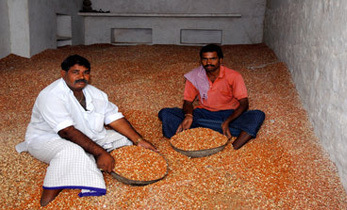 This has resulted in a 50% increase in agri-income over non-BDL participants. These impacts are from a mid-term evaluation study conducted at the end of three years of a five-year project. The results were shared with the local communities in 172 villages in the district of Mayahi (Maradi region) and Kantche (Zinder region) in a series of meetings over the past few months. 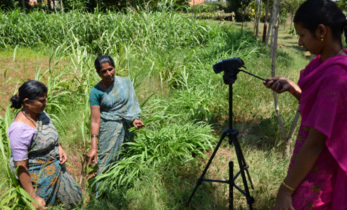 The initial results of the impact evaluation conducted by the ICRISAT socio-economics team show that the BDL system had a positive effect on women by giving them access to land and increasing their income. The 0.02 hectare piece of land allocated to each woman in the BDL plot of 1 ha resulted in an average increase in the household income of women participants by 14,345 FCFA (US$26) which is approximately a 50% increase over non-BDL participants. This does not include income from the forestry component, which if added raised the average household income to US$100. The BDL system has an agroforestry component that incorporates high-value trees and vegetables in a holistic system, with the aim of reversing damage to soils caused by overgrazing and intensive farming. 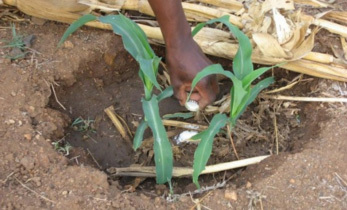 It is a climate-smart technology that helps regenerate the landscape by improving soil fertility through carbon sequestration via tree roots and reducing soil erosion. 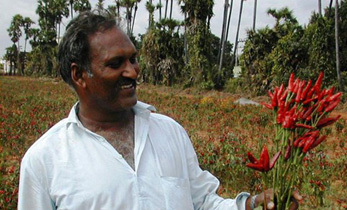 The technology developed by ICRISAT had two main components – water harvesting techniques and high-value nutritious trees and annual crops. The water harvesting techniques included half-moons (demi-lunes) for trees, zaï pits for annual crops and trenches for leafy vegetables. Through these techniques rain water was stored to sustain crops in the cropping season and trees in the dry period. The system also used micro-dosing of fertilizer in the zaï holes to stimulate root growth of vegetable crops and promote better nutrient utilization. 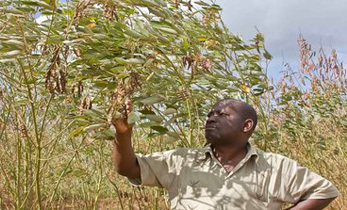 Examples of high-value trees and annual crops include drumstick tree (Moringa oleifera), pomme du sahel tree (Ziziphus mauritania), okra (Abelmoschus esculentus), hibiscus and sicklepod (Senna obtusifolia) among others. Women’s groups and individuals who produced indigenous vegetables using BDL improved their incomes as well as their household nutrition. For example, the level of Vitamin A in 100g of Moringa is four times that of carrots, its protein content is twice the protein of yogurt and it has four times the calcium of milk. 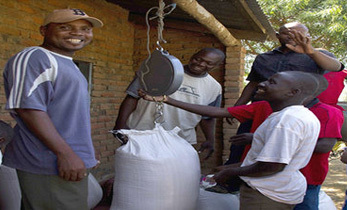 Households were also able to take advantage of the benefits in the same cropping year and did not have to wait for several years for trees and crops to start producing. Project: Programme d’Appui à la Sécurité Alimentaire des Ménages-Tanadin Abincin Iyali (PASAM-TAI) through water, sanitation and hygiene (WASH) program.